NOTE: This commentary was first published December 24, 2013 by MSNBC. Pope Francis sent Christmas gifts last week to two thousand immigrants living in a shelter near the Vatican. The packages, containing pre-paid international calling cards, stamps, and a metro pass, were a thoughtful gift for immigrants who may be estranged from their families and lacking the means to connect with them. The new pope’s first apostolic exhortation, released in late November, is critical of what he describes as “unbridled consumerism” and its impact on how we value human life. 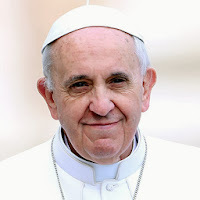 “Today everything comes under the laws of competition and the survival of the fittest, where the powerful feed upon the powerless… Human beings are themselves considered consumer goods to be used and then discarded,” the Pope wrote. Pope Francis has also made changes in the Vatican that indicate a desire to move the tone of the church, included removing conservative Cardinal Raymond L. Burke, who has advocated for pro-choice Catholics to be denied Communion. Reverend Paul Raushenbush, Senior Religion Editor at the Huffington Post, described that decision as a move towards creating more inclusivity and a “healing message” in the church. The exhortation from the pope sparked outrage among some conservatives in the United States. Conservative radio host Rush Limbaugh decried it as “pure Marxism coming out of the mouth of People.” Anthea Butler, professor of Religious Studies at the University of Pennsylvania, suggested on MHP that such criticism is ignorant of traditional Catholic doctrine that focuses on poverty. Butler pointed out that there is a history of Marxism in the Latin-American church, stemming from Father General Pedro Arrupe, who wrote about a preferential option for the poor, and Gustavo Gutierrez who emphasized the concept in his development of Liberation Theology. “This option for the poor has always been there in the Catholic Church,” Butler said. She argued that commentators like Limbaugh and others have worked to create a “prosperity Jesus” with the message that if you’re not rich, you don’t have the blessings of God, which Butler cited as at odds with the traditional teachings of Jesus. 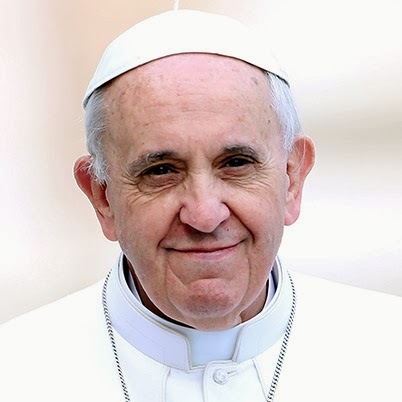 Peppard said the Pope’s message does include the core Marxist critique that excessive concentrations of capital lead to exploitation and dehumanization. He described the Pope as advancing a Catholic worldview in line with that message, that “people are more than the sum total of their economic indicators… more than the sum total of market forces.” The Pope is “trying to lead to humanization,” he explained. In this system, which tends to devour everything which stands in the way of increased profits, whatever is fragile, like the environment, is defenseless before the interests of a deified market, which becomes the only rule. Pope Francis has met with anti-fracking advocates, and included in his first inaugural homily a repetition of the phrase, “Care for the poor, care for creation.” Peppard pointed out that a focus on the environment is in line with his focus on the poverty, since environmental degradation disproportionately impacts the poor. Despite loud criticisms from those with a media platform, the Pope is viewed favorably among Catholics in the United States across political persuasion. Ninety-four percent of liberal Catholics report favorable views of the Pope, as do 91% of conservative Catholics. Sara Kugler is the program coordinator at the Anna Julia Cooper Project on Gender, Race, and Politics in the South at Tulane University, which is headed by Melissa Harris-Perry. Find them on Facebook, and on follow them on Twitter at @AJCProject. Watch the discussion in full at the end of the original post. Pope Francis’ Off-script Christmas Nod to Atheists is Part of a Pattern – Cathy Lynn Grossman (Religion News Service via The Washington Post, December 26, 2013). The Year Pope Francis Allowed Britain's Catholics to Break Cover – Sam Jones (The Guardian, December 26, 2013). Pope Francis Named Time Magazine's 'Person of the Year' – Josh Levs and Michael Pearson (CNN, December 11, 2013).